Life Book 2019 — Annamieka: Artist. Let's Bring Your World to Life. I'm so excited to be part of this amazing year-long course. Life Book 2019 opened for registration in January but you can sign up at any time during this year! So if you want to spend time with a wonderful creative community of like-minded souls, learning more about art and how to be kinder and more loving towards yourself, be sure to join NOW by clicking here! My Life Book class is titled "Garden of Possibilities". In my lesson, I want to help you complete the past, acknowledge the present, and plant seeds of possibility for your year to come. 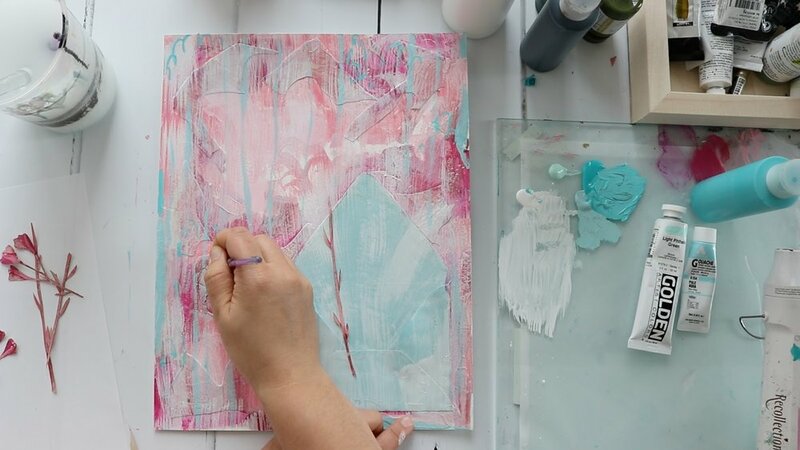 In this lesson, you’ll make a richly layered painting spread, learn how to create gorgeous layers with collage and paint, and dive deep within with juicy writing prompts, to get your year off to a vibrant start. If you are ready to register, click the big pink button below and use my special affiliate link to sign up! Thank you, I really do appreciate it! Yes! I want to register for Life Book 2019!